Toyota and Ford may be working on hybrids, but now General Motors and LG Group will jointly design and engineer future electric vehicles, expanding a relationship built on LG's work as the battery cell supplier for the Chevrolet Volt and Opel Ampera extended-range EVs. 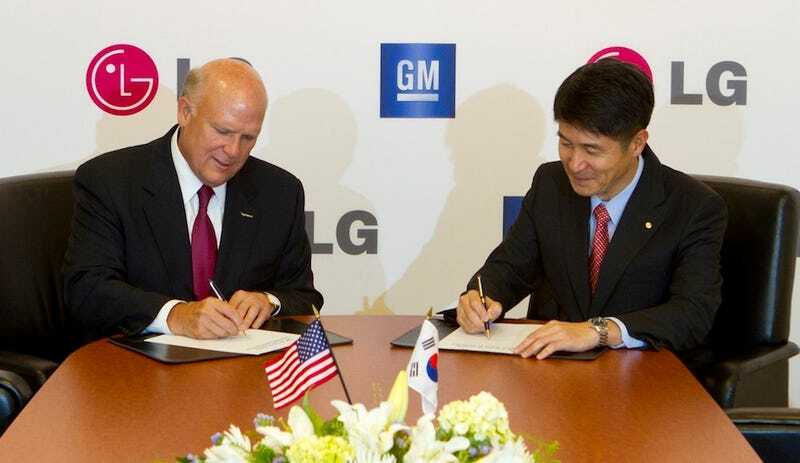 The agreement, signed Wednesday, will help GM expand the number and types of electric vehicles it makes and sells by using LG's expertise in batteries and other systems. For LG, the arrangement represents a widening of its portfolio as an automotive solution provider.